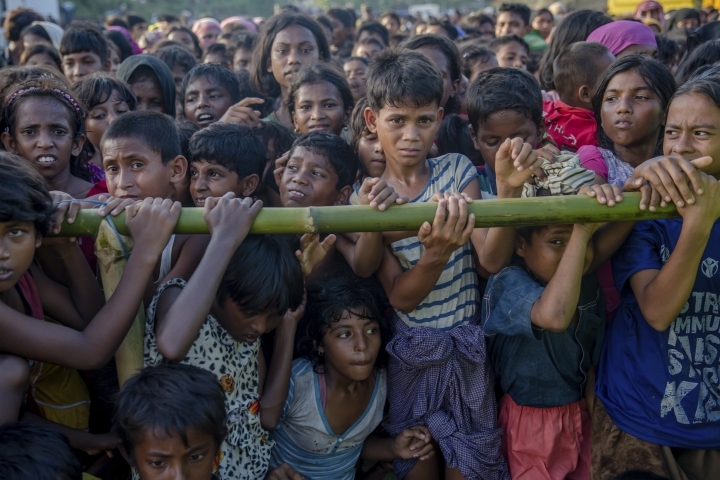 The U.N. children's agency UNICEF has identified about 1,800 children who fled Myanmar without parents after violence broke out on Aug. 25, but Ahmed said the total number is about 6,000. "Ages between 13 and 18 are vulnerable. If they live with the adults there is a possibility of getting harmed or involved in criminal activities. So the government is thinking of separating such children who have come here without their parents," Rahman said. "Despite every effort by those on the ground, the massive influx of people seeking safety has been outpacing capacities to respond, and the situation for these refugees has still not stabilized," Adrian Edwards, a spokesman for U.N. High Commissioner for Refugees Filippo Grandi, said Tuesday in Geneva. "Many of those who have arrived recently are deeply traumatized. Despite having found refuge in Bangladesh, they are still exposed to enormous hardship." Edwards said that during a visit to Bangladesh this past weekend, Grandi said that while long-term issues needed to be considered, "for now, the immediate focus has to remain on fast, efficient and substantial increase of support to those who are so desperately in need." In a separate statement issued in Geneva, seven experts empowered by the United Nations to look into human rights issues called on Myanmar's government to halt violence against its minority Rohingya Muslim community and stop persecution and rights violations that have been described as an example of ethnic cleansing. 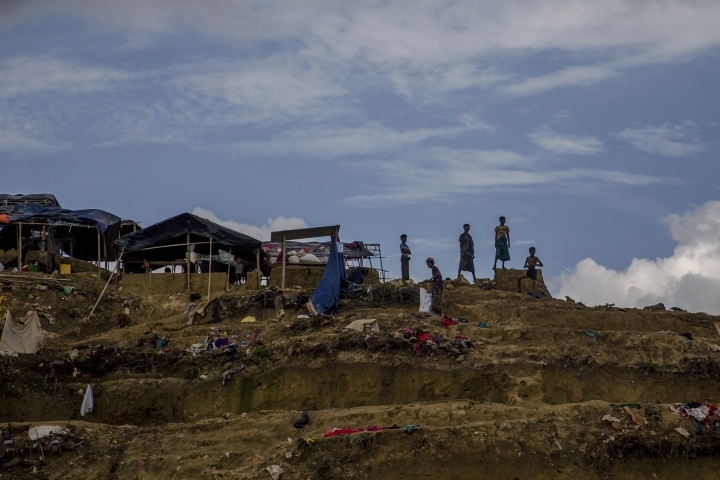 "U.N. member states need to go beyond statements and start taking concrete action to stop the military and security forces from accomplishing their so-called 'unfinished business' of getting rid of the Rohingya minority from Rakhine state," said the seven, led by Yanghee Lee, the special envoy on the situation of human rights in Myanmar. They also called on Myanmar's de facto leader, Aung San Suu Kyi, to look more closely into the situation and personally meet with the affected Rohingya. "No one chooses, especially not in the hundreds of thousands, to leave their homes and ancestral land, no matter how poor the conditions, to flee to a strange land to live under plastic sheets and in dire circumstances except in life-threatening situations. Despite violence allegedly perpetrated by the Arakan Rohingya Salvation Army (ARSA), the whole Rohingya population should not have to pay the price," they said in the statement. 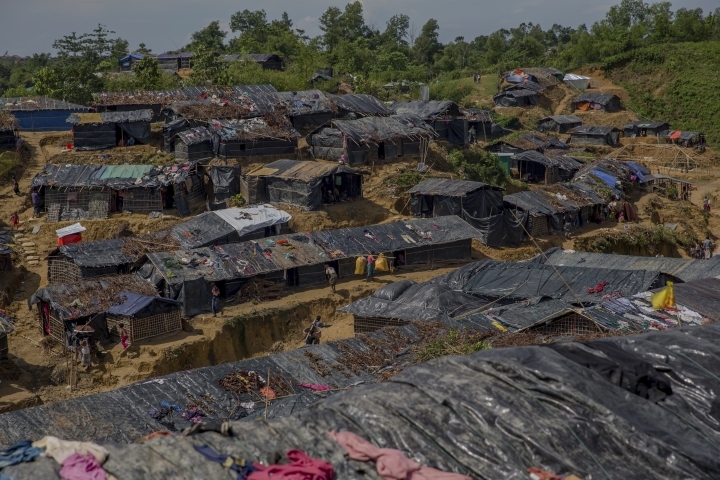 ARSA is a Rohingya insurgent group whose attacks on police posts on Aug. 25 led to massive retaliation by Myanmar's army.